Bentley will tweak the styling of its EXP 10 Speed 6 should the concept ever make production, according to company boss Wolfgang Dürheimer. The Crewe-based manufacturer showed off the two-seater to a Chinese audience at today’s Shanghai motor show as part of the company’s efforts to build a database of customer opinion about the vehicle. The car has already been displayed at the Geneva and New York motor shows and will visit the Middle East on its way back to the UK from China. “The car needs to go through all challenging criteria in order to get to a final evaluation of whether we make it or don’t make it,” Dürheimer told Autocar. 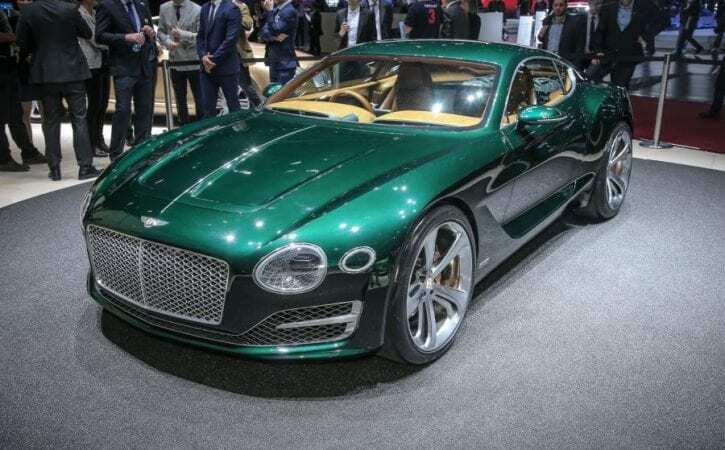 Dürheimer said he’d been pleased at the initial reaction given that the car represents a dramatic diversion from the current Bentley model line-up. “What we already received as a clear indication after Geneva, the message was ‘don’t change anything, just do it’. “There are only little tweaks that need to be done. Our present intention is to make the front section look a little bit faster. The grille will not be as upright, it will be a little bit more laid down. Dürheimer said Bentley would continue to test reaction to new models in public in a similar way to which it has done with the EXP 9F – the forerunner to the Bentayga SUV – and EXP 10 Speed 6, but not for successors to its established model range.